I'll be honest: I haven't turned on my Ouya since we reviewed it way back in May. That's a level of neglect even the poor Wii U can't rival, and for good reason—despite Ouya's big talk of changing the games industry with its developer-empowering microconsole, what we actually received was a buggy and underpowered box with a shoddy controller and an awkward user interface. And now, like the proverbial man in a Gloria Gaynor song, Ouya is back—and I can't decide whether it's time to change the locks or not. 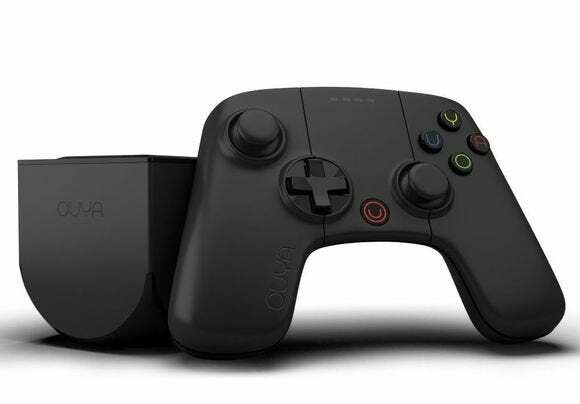 The new Ouya (Twouya? ), on sale right now from Ouya.tv and Amazon, comes in $30 pricier than the original—$129 for the console and controller package. The console keeps the same form factor as the original, though in flat black instead of silver. 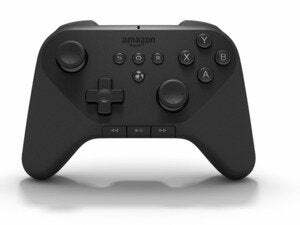 The controller is also black, and as a result looks less like a cheap toy and more like legitimate games hardware. But the Ouya's aesthetics were never really the problem. 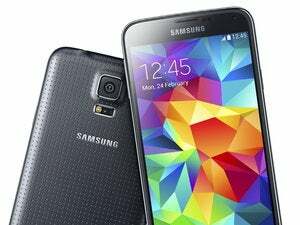 The "problem" with phone hardware is it iterates so damn fast. The Ouya, which at its core is just an Android phone without the phone bits, was outpaced before it even released. With an aging Tegra 3 processor propping the whole device up, it's no wonder the Ouya stutters and lags on relatively simple games. Let's put it this way: the phone in my pocket right this moment is a more powerful device than the Ouya—and my phone can also pair with a controller and pump video out to a TV through HDMI. My phone is a better Ouya than the Ouya. So you might've expected Ouya to drastically upgrade its central hardware when the new version came out. That's not the case. The new Ouya touts three big changes: 16GB of storage instead of the original's 8GB, better Wi-Fi capability, and an improved controller. Let's put it this way: the phone in my pocket right this moment is a more powerful device than the Ouya. A storage upgrade is nothing to get excited about, and the other changes are so vague it's hard to know how they'll pan out. I'm hoping that better Wi-Fi capability indicates Ouya changed the way they manufacture the device—many suspected that the thick metal sides of the Ouya interfered with Wi-Fi and Bluetooth reception, causing the controller to lose signal. There was a marked improvement in the original Ouya controller's performance after turning the system on its side, where the plastic top interfered with reception less. As for the controller, Ouya just says the joysticks, buttons, and lag are all improved. We won't know until we hold it and put it through its paces, though. Hopefully we can get hands-on time with the new system in the near future. As soon as that happens, we'll be sure to bring you our reevaluation of the Ouya hardware. Until then, our opinion remains "buyer beware." This story, "Redesigned 16GB Ouya console is the most modest of upgrades" was originally published by TechHive.